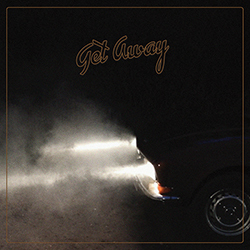 ‘Get Away’ is about a night time car ride, trying to escape being stuck in a rut, or bored, in a strange place. It is the voice in your head that tells you it's OK to slip away from it all for a moment. “We feel it's a great song to accompany you on a long drive, to spin on a dreary Sunday morning, or to dream away to while staring into a fire.” Thus the duo.